I have refrained from commenting on jallikattu for a long time, mainly because I don’t have any real experience or concrete insight on the subject (yes, that does prevent me from making opinions known). However, after several debates, reading up, arguments and a lot of thinking, I can definitely say that a middle way needs to be found. A ban is not an answer and animal rights must be upheld to the best of our capacity (which can be considerable if we make an effort). I think it is quite harmful to import PETA arguments against bullfighting and slap them onto Jallikattu for a handy halo of standards for animals. While I still am not expert enough to provide a “solution” that I can robustly defend without doubt, here is my thinking on several aspects of the issue. Jallikattu is a part of the celebrations of Pongal in Tamil Nadu, where youth of a village engage in a bull taming match, where a bull trained to buck them off is sent into the arena and the objective is to hang on to the bull by the rump, while the bull tries to buck them off. There are no weapons or rope involved and only bare hands may be used to hold on to the bull. Injuries to contestants are more likely (and prevalent in reality) than to bulls. If the bull succeeds in bucking them off, it wins, or the youth to hang on to the end wins.Like many other rites of passage seen in tribal societies worldwide, it is a test of the man’s strength and skill in going barehanded against a bull. 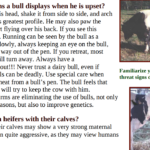 It is also a process of selecting the best bull for breeding. The event has been criticized due objections about cruelty to the bulls. For the purposes of this discussion, bullfighting would be what is practiced in Spain. Another cultural tradition. However, in this, the bull is repeatedly “hooked” at the hump with lances and finally when weakened with loss of blood and pain and defeated, it is killed with a sword. The bullfight invariably ends with the death of the bull. In rare instances, a bull that fights exceptionally well may be spared the final strike (but not the injuries). There is no competition involved. It is a traditional “art form” slaughter. The bull’s struggle to evade a certain death is entertainment. There is no option for the bull to escape the injuries or death, usually. 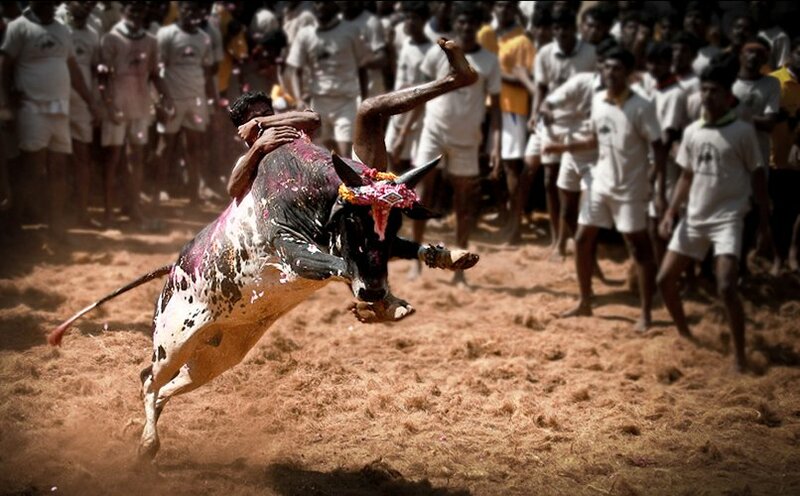 How is jallikattu different from bullfighting? In case the difference is still not evident, jallikattu pits the strength of a 60 kilo man against a 400+ kilo bull and the bull has far more power and horns. It is by no means a fight that endangers the animals – though of course accidents are possible in everything involving reflexes. The worst a bull will usually come to is exhaustion and injuries. I don’t think even PETA will dispute this. 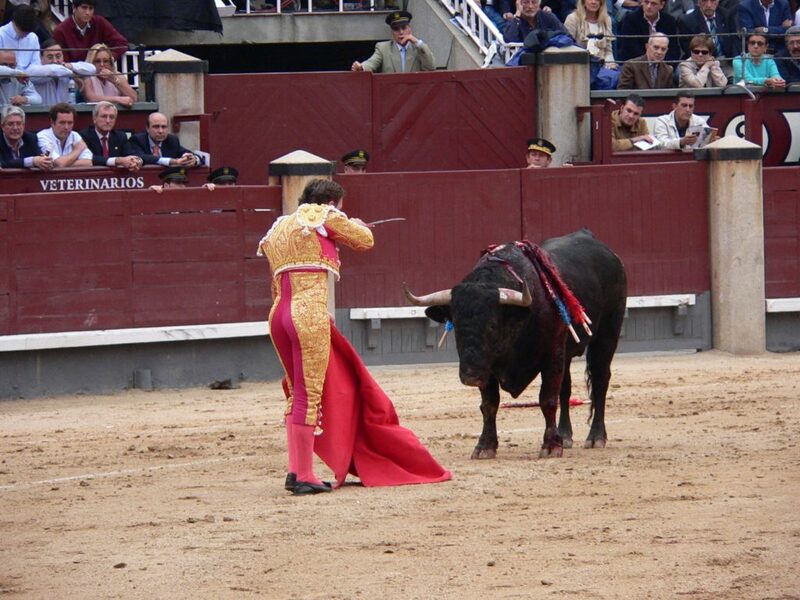 In contrast, in bullfighting, the animal is pitted against people with weapons, some of them mounted on horses. When bulls disemboweled more horses than bulls getting killed, they started protecting the horses. There is no question of allowing a bull to win, merely making a spectacle of its death. Whatever our stands on what constitutes animal rights, the factual dissimilarities are glaring enough that arguments for or against cannot be copy-pasted between the two as currently appears to be happening. Beyond this, I am looking specifically at jallikattu rather than bringing bullfighting into it. What considerations are there? What lives and livelihoods are involved? 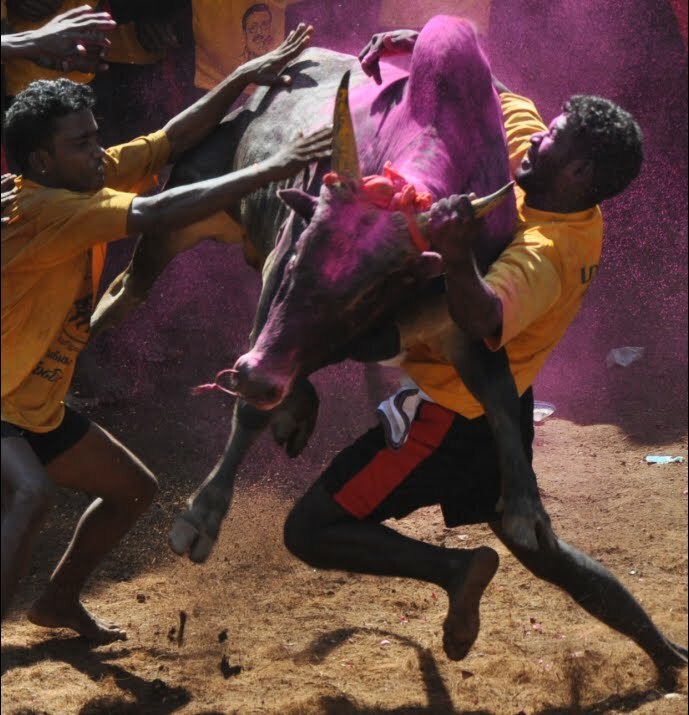 The bulls used in jallikattu are primarily from the kangayam breed of cattle. They are aggressive by nature and prone to attack. They are further trained for the sport, it is true, but these bulls are not preferred for work with far more docile breeds being easily available. They are, however good for breeding because of generations of stock selected for strength and reflexes. It is very common in rural societies for the males of herd animals to be castrated (horses, bulls, bullocks… even goats if there are more than one male!). The reason for this is that herd behavior dictates that males fight among themselves for dominance. This is natural behavior. Leaving the best of each generation with the temple as “public property” of sorts for all breeding needs of the village solves issues related to access or individuals maintaining their own breeding males (who will fight and do damage if they encounter each other). The jallikattu serves to identify the strongest stock for this purpose. Where there is a feat of strength, you have a crowd of men to watch. It is easy for testosterone to dominate the narrative where the only thing visible about jallikattu is the fight or perhaps, due to hot debates on the subject, the question of breeding stock. But there is more to that. There are lives, livelihoods and the survival of an entire indigenous species tied in closely with the sport. Small farmers like P. Muthukarupan of Sivaganga, Tamil Nadu breed bulls for jallikattu. 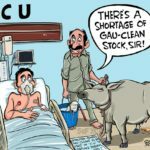 Their cattle will lose value. Jallikattu is an important area where indigenous cattle of India continue to be supported and preferred. In a country where successive government policies have endangered indigenous cattle breeds, the sport not only provides robust and preferred survival to a few, it generates public awareness and interest in their well being and qualities. Two decades ago, P. Sainath’s tragicomic epic “Everybody Loves a Good Drought ” already described vanishing indigenous breeds as an established problem. The first section of the book “Still crazy after all these years – A brief introduction to the Indian absurd” sets the tone for a book that is relentless in portrayal of the gloriously hilarious and tragic mismatch between government policies and people’s realities. The first story “Very few specimens – but a lot of bull” described the haphazard processes of introduction of “superior breeds of cattle” in Odisha that wiped out the famed Khairar bull in the Komna region. This is a situation that has repeated all over the country in the name of increased milk production. 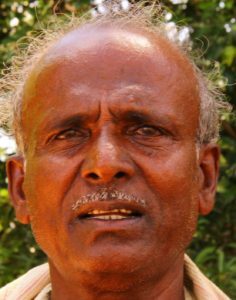 In 2015, he reported the efforts to reverse such damage in Kerala with the dawning awareness that many Indian indigenous breeds are at threat of extinction. But many other pressures are in play. The holy cow is a big deal in India. There is increasing resistance to cow slaughter rendering non-milk-producing cattle a liability. This further reduces the demand for indigenous species, as their milk production is lower than the imported and hybrid breeds. Ironically, the indigenous cattle actually give much better returns in comparison witht he expense and effort that goes into maintaining them, vis-a-vis the more exotic breeds. So far, jallikattu has protected the native breeds that are engaged in the activities from going the same way as the rest of the indigenous breeds. The jallikattu ban threatens to change that. But it isn’t that simple either. 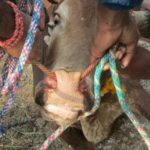 The bulls bred for jallikattu are naturally aggressive, and most cow shelters don’t want them – they wren’t exactly bred to meekly accept marginal care and be no trouble! They can be aggressive and hostile and a lot of trouble to care for. 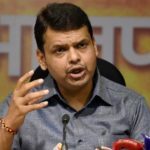 With the restrictions on cattle slaughter, there won’t be much help from those quarters either. There will be no real reason left for the survival of some prize breeds from India. Of course, the question of survival of indigenous breeds of cattle is larger than jallikattu. I am merely noting that this will add another breed to the mix. What constitutes animal abuse and where is the line? Man and animals have coexisted for a long time. Man has harnessed and often exploted animals for daily needs. From eating chicken that are grown more like a vegetable than a bird to using police dogs for risky work like bomb detection or protection. Animals are leading less than optimal lives and facing danger, injury or death to enable our lives all the time. Horses have often been injured beyond recovery at the very young ages they participate in horse races. Bullock carts, ploughs, saddles have caused sores on livestock since time immemorial. Reluctant animals have been flogged to work, patient horses have stood amid exploding firecrackers in marriage processions. Not to mention the national assault on the hearing of dogs every Diwali. Sheepdogs work alongside their masters come snow or sunshine. Cows, buffaloes, goats get their teats pulled with varying degrees of gentleness and efficiency twice a day. The garbage of our lives overflows to kill countless animals, while our “progress” destroys their ecosystems. I am not trying to justify anything here. I am trying to create a larger picture of an interconnected system, where many species of animals often live in harmony with man. Often not even found in nature at all. Witness the silkworm. Witness the story of “Shaktiman“, the police horse who turned out to be a mare who broke her leg while at work on an aggressive protest. I knew that horse was dead, only a matter of time the minute I saw the hind leg broken. It is unlikely that the veternarians caring for Shaktiman didn’t know it. A horse bears most of the weight of its body on its hind legs. The horse’s hoof also has a spongy pad inside (not getting into medical technicalities) that help pumps blood back up to the heart when it walks, so it is also important for blood circulation in the body. A horse does not burp. Walking helps speed digestion, so trapped gasses escape as farts (yep, stinky). A horse with three legs can perhaps hobble briefly if the injured leg is a foreleg, because the hindlegs easily take up most of the weight. A horse with a missing hindleg cannot walk. And a horse that doesn’t walk is a matter of waiting for the compromised digestion and circulation to fail, because there is no way the forelegs can compensate for the missing power of a hindleg. There will be terrible back pain from that enormous weight now being supported only on one side of the spine. The kindest “treatment” for her was a mercy killing. Yet she was subjected to a long drawn and painful death going through a political circus of journalists and prosthetics and what not till the inevitable happened. In the line of duty. Not just the injury, but the manner of death. The need to bring in this kind of perspective is because a lot of people doing these debates have actually never come close to livestock. They have no idea of the realities of their needs, the threats they face or even their power. While the idea of an adult man hanging on to a bull feels remarkably threatening, the only power of a body most people know is human. How powerful is a bull? That is two people trying to wrestle down a bull at once. Very alarming. Two aggressive men? We are practically conditioned to think of this as unfair. But wait a minute. The bull has all four feet in the air and the two men, in fact, appear to be pulled up. What would the weight of the people have to be if two of them hung on you and you had to jump off the ground? That is what the weight of people is like to a bull. And you don’t have to believe me. Please do a google image search for jallikattu to see if you spot pics that even remotely look like an overpowered bull. There are several of boys about to be gored, though. Does wrestling with a 60 kilo unarmed man cause a 400 kilo bull any significant harm? I don’t know personally. From my experience with horses, I can say even a 200 kilo filly cannot be overpowered without at least a couple of people, rope and serious technique. That is why the Spanish bullfights use weapons and that is why without weapons, the goal in jallikattu cannot exceed “hanging on”. And trust me, hanging on is going to do little more than irritate a bull that can pull a few hundred kilos easy. That is my thinking. But there are other serious issues. For example, injuries to tails, stories of bulls being fed liquor or sedatives to make them more aggressive. Man is a pretty cruel animal and a man in a crowd eager for a spectacle… Here is a good documentary about the cruelty to bulls to get them agitated. Please note, that this is a collection of recorded cruelty as opposed to a documentary on the standard practice. Many of these practices need to go. (The link to this film was kindly provided by Sachin Bangera, who works with PETA India. Thank you, Sachin.) Frankly, I don’t think the liquor is going to harm a bull any more than it would harm a person. People who do attend the fights say that it is glucose water for a burst of engergy and not alcohol at all. Rubbing irritants, injuring them and more will harm. Consulting with veterinarians on safety is important. Establishing an arena and disallowing unofficial street chasing is important. I think a lot of good could come out of creating a set of rules that must be followed, failing which the animal or youth could be banned from the proceedings. We already have laws against cruelty to animals for that. We do not need a ban on jallikattu to prevent cruelty. This would be more useful than putting everyone out of work. Competition and peer pressure would ensure better practices or loss of face and overall improve safety standards, like in any other dangerous sport. Substances that cannot be fed, blood tests in the event of doubt (or as a matter of course), protective clothing for participants, disqualification on holding tail, etc. Whatever. Seniors of the field must be consulted. Which brings us to the bigger risk. India is a signatory to the Convention on Biological Diversity, a global miltilateral treaty that obliges us to “develop national strategies for the conservation and sustainable use of biological diversity”. While I have no legal understanding and no doubt it could be debated up and down the street, it does seem to my limited understanding that a ban on jallikattu that jeopardizes the future of the indigenous species used in it, violates the spirit of the agreement. And how serious is the risk? Very. From over a hundred indigenous cattle breeds in India, we have less than 40 left and those too are under threatas resistance to cattle slaughter increases and in turn increases the liability that cattle threaten to be. This makes people reluctant to own cattle altogether as well as prefer higher yielding cattle for their investment. Any move that reduces the utility of male cattle will add to the threat of extinction faced by our indigenous breeds. 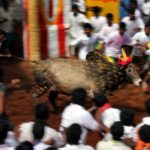 Injuries and deaths of youths who participate in jallikattu. These are actually more common than injuries to bulls. My views on this are twofold. The first is that best practices and preventative measures must be established where possible. The second is that like all sports with threat of life, the choice eventually must rest on the participant. If countless adventure sports are not banned, then jallikattu must not be either, on account of safety of participants. This last, I am quite certain of. The rest needs debate. But more importantly, it needs debate that includes people who participate in the sport, instead of the same five talking heads representing “people like us” having an opinion on everything. People like us are conditioned to fear whatever looks darkskinned and sweaty and dirty and male and loud. However, our fears cannot dictate the practices of other people in another place in a shared country. This article keeps getting updated as I add any important information brough to my notice. If you are interested in the subject, do keep checking back. Poorva Joshipura ( PETA INDIA ‘s CEO) is a US Citizen . Proponent of MNC , a member of AWB and sources enormous funding from MNC’s with vested interests. She’s a fake who doesn’t respect the sensibilities of Tamil culture and has bigoted standards . Her stance on Jallikattu is absolutely counter productive to PETA’s image . Injuries to both bulls and humans. Just also read the PETA response. Quite well reasoned but you will respond too. For the same reason, I do not endorse boxing as a sport though have participated when very young. Found this to be a well-written article. Thanks. Great post but the sport causes injuries to both so avoidable unlike horse riding or racing. Other risky sports are purely voluntary.